Drag the coloured pieces to fit into the outline provided. Hold down the shift key [or tick] while you drag to rotate pieces. As you make each shape you could take a screen grab (use the Snipping Tool in Windows or take a screen shot if using an iPad or similar) to keep a record of your findings. 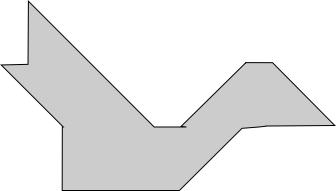 The Tpuzzle first appeared around 1900. This is the Asymmetric T version though there are other versions with slightly different measurements. 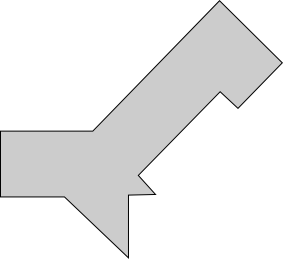 In this version the arrangement of the four pieces to make a T is already shown but originally this was the puzzle; to make the letter T.
As there are only four pieces you might think that making the T (if the pieces were originally jumbled) is very simple. However studies have shown that few people are able solve it under five minutes, with most people needing more than half an hour. Many people assume that the puzzle is impossible to solve. 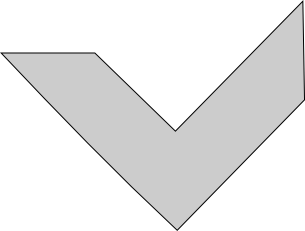 The main difficulty in making the T is overcoming the instinct to put the pentagonal piece either horizontally or vertically; and related to this, the tendency of trying to fill up the notch of the pentagon. 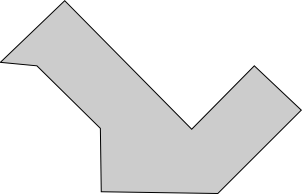 In one study participants were found to spend over 60% of their attempts on such misguided placements of the pentagonal piece. Have you tried the Tangram activities yet? Use the pieces of the tangram puzzle to make basic shapes, complete the table showing which shapes are possible. 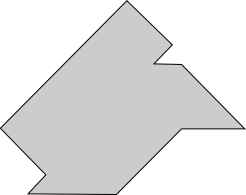 Use the pieces of the traditional tangram puzzle to fit into the picture outlines provided.